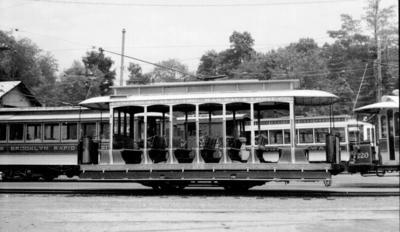 The Branford Electric Railway Association, Inc. (BERA) is a 501(c)3 charitable not-for-profit organization founded in 1945, to preserve the unique heritage of an endangered species -- the trolley car, and to preserve and operate the oldest continuously operated suburban trolley line in the United States -- The Branford Electric Railway -- which opened on July 31, 1900. In 1983, the railway, along with the entire museum collection, was recognized as a National Historic District by the National Register of Historic Places. BERA is the organization behind the Shore Line Trolley Museum, and has over 1000 members, many of whom are active volunteers.